Media representatives will find the latest press releases of the Federal Institute for Vocational Education and Training (BIBB). In our archive press releases of recent years (since 2002) are also available. 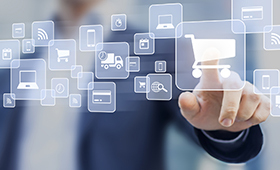 Impressive start: Around 1,300 training contracts have been concluded in 2018 in the new training occupation of “management assistant in e-commerce”. With just over 15,000 new contracts the occupation of information technology specialist made it position 7 in the Top 10. Each organ is an individual piece. The building of organs is a craft with a long tradition. But also here, above all technical and electronic innovations took place. 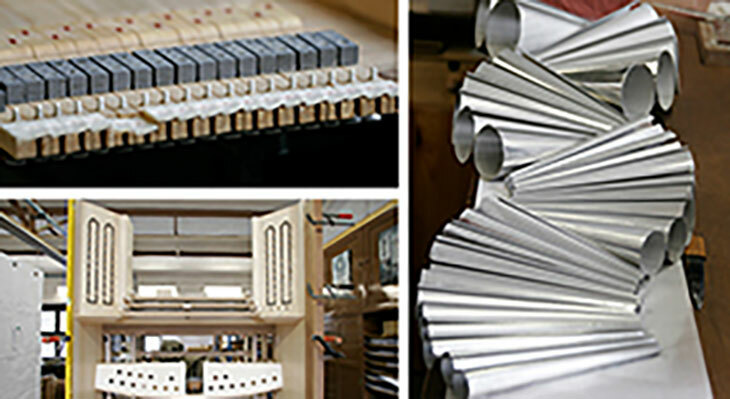 The new training regulation with the specialisms of organ building and pipe making enters into force on 1 August 2019. 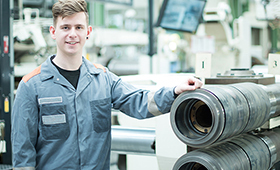 Around eleven percent of skilled workers in Germany who have completed dual VET carry out higher level tasks for which a higher qualification is typically required. Men have a clear advantage over women, as the new issue of BIBB REPORT shows. The BIBB is robustly pursuing its Open Access Policy by continuing to expand academic research services in the field of vocational education and training and VET research. 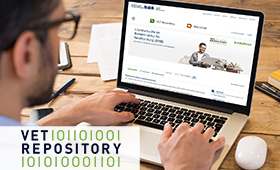 BIBB has made a “VET Repository” available online with immediate effect. In light of the rising numbers of higher education students, the BIBB has conducted a study into which pupils are more likely to commence a programme of vocational education and training despite being having a higher education entrance qualification. The BIBB will advise Iran on its planned VET reforms. 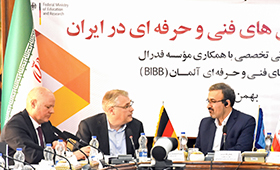 At a workshop in Teheran which BIBB helped to organise, Germany and Iran signed a Memorandum of Understanding on future vocational education and training cooperation between the two countries. An investigation conducted by the BIBB shows that recognition of applications submitted from abroad is already working well. The stakeholders involved, however, believe that there is still room for improvement. 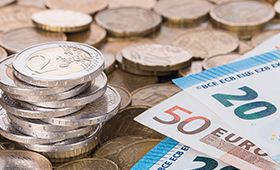 In 2018, training allowances based on collective wage agreements increased across Germany by an average of 3.7%. The increase was thus stronger than in 2017 (2.6%). 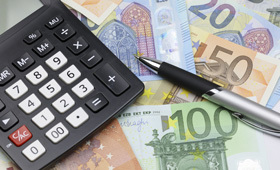 Throughout Germany, the average training allowance was €908 gross per month. This is shown by a BIBB analysis. 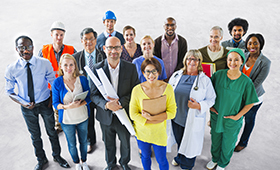 More company-based training places on offer, more newly concluded training contracts, but also more unfilled training positions as well as an increase of men and decrease of women applying for trining positions – the are the results of the BIBB analysis of the training market development in 2018. There has been a sharp rise in the number of foreign trainees who are citizens of one of the most common non-European asylum countries of origin. 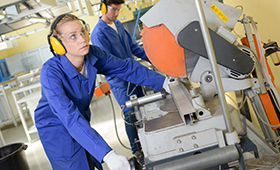 Significant growth has been reported by the skilled trades. These are the findings from a special analysis by BIBB. An increase in the population, hostorically low unemployment and shortages of skilled workers in specific occupations – especially in health care occupations – will characterise the labour market in Germany in 2035. This is shown by current projections by BIBB and IAB. The third generation of young people with a migration background are just as successful in the search for a training position as young people without a migration background. The results are presented in the latest issue of the BIBB REPORT series. If the choice of occupation will not positively impact their status in their social environment, young people tend to stay away from the occupation concerned, even if they would have enjoyed the work it entails. Russian hairdressing apprentices completed a German final examination for the first time. GOVET at BIBB and the German National Association of Hairdressers support the German-Russian cooperation that has the aim of assuring quality in vocational education and training in Russia. 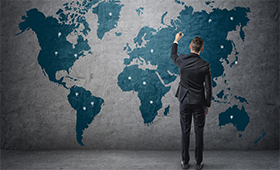 Vocational education and training across borders: In the latest issue of its specialist journal "BWP" with a special focus on international mobility, the BIBB carries out a more detailed investigation of how many trainees in which occupations avail themselves of the opportunity to train abroad. 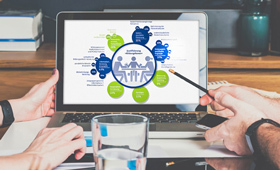 The BIBB has used a data-based simulation to investigate the issue of which businesses would be affected by a minimum training remuneration and how high the anticipated cost increase might be for companies. Result: Small businesses face particular challenges. The new training year officially gets underway on 1 August. It will also feature no fewer than 25 re-regulated occupations, including the entirely new option of “management assistant in e-commerce”. BIBB President Esser: “Pace of adaptation is increasing because of digitalisation”. The production of made-to-measure footwear is the crowning discipline of the shoemaking trade. 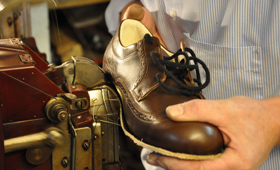 With its fresh designation "custom shoemaker", the individual and hand-made manufacturing process is emphasised. The new regulation enters into force on 1 August. Knives, scissors, drills, milling tools and saw blades: Sharpness and precision are simply a necessity for tools in order to fulfil their intended purpose. 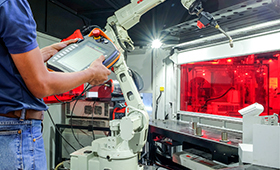 Starting on 1 August, the manufacture of such articles will be governed by the new training programme in the occupation of precision tool mechanic. The production and reforming of steel, copper, aluminium, lead and gold have always been procedures involving plenty of heat. The new training regulation takes account of technological developments and enters into force on 1 August 2018. The task of precious stone engravers is to bring out the true beauty of the stones and render them useful. 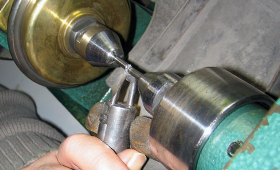 The new ordinance will offer the four specialisms of “industrial diamond cutting”, “jewellery diamond cutting”, “precious stone cutting” and “precious stone engraving”. 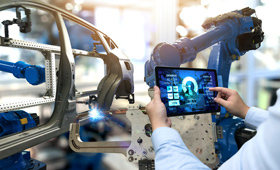 Industrial metal working and electrical occupations are a focal point for the ongoing digitalisation of the world of work. Eleven restructured training regulations and various optional additional qualifications enter into force on 1 August 2018. 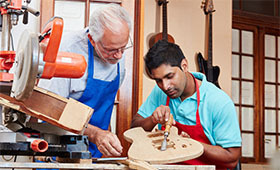 A new BIBB analysis provides a comprehensive overview of the cost and benefits of continuing vocational training for participants. They contribute significantly to financing their continuing vocational training. "VET must become the pacesetter for the working world of the future! 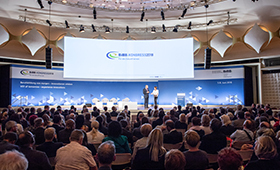 This is because no other training and qualification pathway is better suited to preparing people for the company requirements of tomorrow," explains President Esser to conclude the 2018 BIBB Congress in Berlin. Company survey shows: There is no way around vocational education and training! 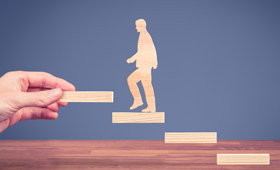 Internal training remains the ideal way for many companies to secure their requirements for skilled workers over the long term. These are the findings of a BIBB company survey, which were presented at the opening of the BIBB Congress in Berlin. 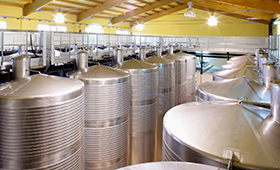 Different vessels, equipment and pipework are required for products made in the chemical, food and cosmetics industries, as well as in shipbuilding. The new training regulation for vessel and equipment constructors enters into force on 1 August 2018. 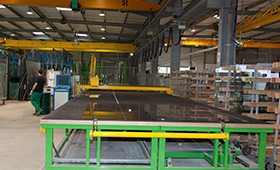 Flat glass technologists process and finish industrial flat glass for windows, display windows and cabinets, safety glass for banks and glass panels for solar energy systems. 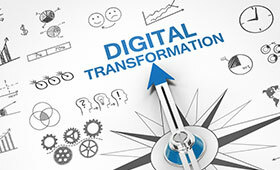 The updated training regulation takes into account digitalisation and modern control of production. Computer-controlled machines and modern methods in addition to manual processing of natural stones: The updated training for stonemason and sculptor combines tradition with modernity. The "Klischeefrei" initiative campaigns for a world in which the choice of occupation and degree is free from gender-specific role models. Support from companies and institutions is rising. The BIBB is also supporting career orientation free of stereotyping with Girls’ Day and Boys’ Day on 26 April. More people now start training with higher education entrance qualifications, more training positions remain unfilled – These are the findings from the 10th and anniversary edition of the Data Report. The thematic focus of the 2018 BIBB Data Report is vocational orientation. Persons with little or no educational background participate comparatively rarely in continuing education and training. The findings of the wbmonitor survey conducted by BIBB provide new ideas for potentially effective strategies aimed at overcoming barriers in this area. Applicants from a refugee background are more likely to make the transition into company-based training if they receive support and assistance from mentors in the course of their search for a training position. These are the findings of a survey conducted by BIBB and Federal Employment Agency (BA). 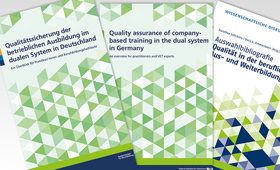 Because VET systems in other countries are predominantly school based, one particular question that arises abroad is which instruments and pathways secure training quality within the German dual system. 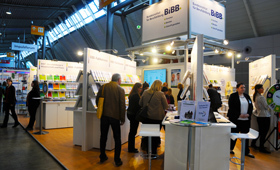 A BIBB brochure, which is available in English, provides transparency and a structured overview. 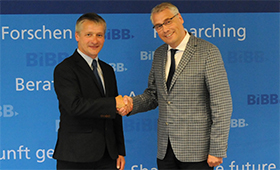 “The long-standing exchange with the South Korean partner institute KRIVET is a good example of successful international collaboration beyond European borders”, emphasized BIBB Research Director Ertl on the occasion of the signing of a new cooperation agreement. In 2017, over a third of all new training contracts were once more concluded in just ten occupations. The results indicate a highly significant gender dominance in many occupations. Information technology specialist is a new entry at number nine in the list. The 8th VET Congress staged by BIBB on 7 and 8 June takes place in Berlin under the motto "Learning for the future. 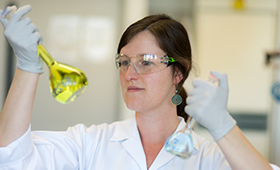 VET of tomorrow – experience innovations". Online Registration is available with immediate effect, the early bird price offer ends on 21 April. 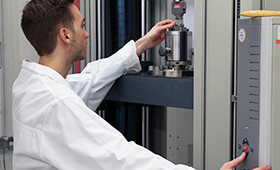 Wash basins, dental implants, and catalyst parts: Procedures such as laser analysis or thermal shock tests are used for testing ceramic products. The new training regulation for the occupation of "ceramics testing technologist" enters into force on 1 August and will replace the "materials tester". The world of work of the future will require greater importance to be attached to continuing training. "Continuing training has long ceased being an option. It is now a must“, BIBB President Esser was writing in the latest issue of BIBB’s specialist journal BWP. 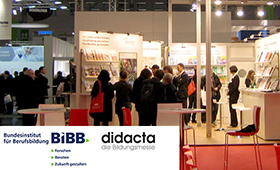 Comprehensive information on current issues relating to VET will be presented by BIBB at the “didacta” trade fair, held in Hanover from 20 to 24 February 2018. Visit us in Hall 13, Stand F112. We look Forward to an exchange of views with you. 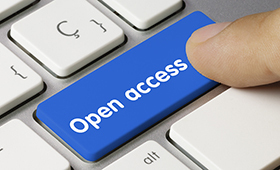 The BIBB will be rigorously adhering to the “Open Access Model”. This means that, from 2018 onwards, all BIBB publications will be made available on the institute’s website for download free of charge in citation-friendly PDF format (“gold open access”). This is the first new commercial training occupation to be launched for ten years. The central content of the training for the booming online trade is the use and operation of websites and distribution channels. The new training occupation will be introduced on 1 August. In 2017, training allowances based on collective wage agreements rose across Germany by an average of 2.6%. 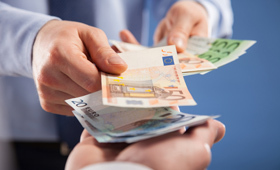 Average trainee remuneration across Germany for 2017 was €876 gross per month. The recent BIBB analysis shows that this rise was significantly weaker than in previous years. 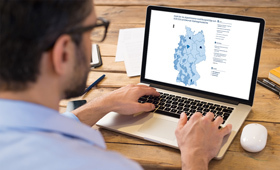 More training places offered, more young people seeking dual VET, more training contracts – but also more unfilled training places: These are the key findings of the BIBB analyses of training market development in 2017, visualized in interactive regional maps for the first time. 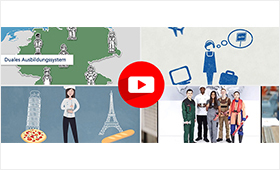 With the new information film “Dual vocational training in Germany” which is available in 11 languages, BIBB broadens its range of videos available on YouTube. In 2017 the BIBB added more than 30 new videos on vocational education and training. Advanced vocational training qualifications will now also be clearly and easily understood across Europe. 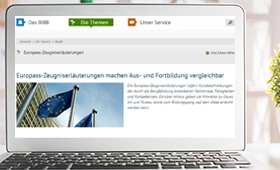 Europass certificate supplements are also available for advanced training occupations und thus support cross-border learning and working. 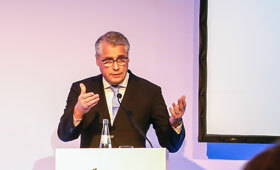 Digitalisation demands appropriate qualifications and continuing vocational education and training of teaching staff, stressed BIBB President Esser at a symposium on „VET 4.0“ in Leipzig. BIBB will therefore support a nationwide qualification initiative. 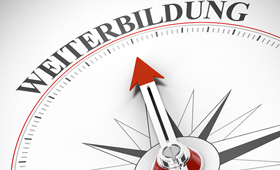 There will be a marked difference in the development of regional labour markets in Germany up to 2035. The reasons for this are different economic priorities in the regions and demographic changes. Current analyses by BIBB and IAB show this. Improving the integration of refugees in Germany in future by means of vocational education and training will be critically dependent on providing individually-tailored training programmes of the right quality and in the right amounts. These are some of the key findings from a new analysis by BIBB. A company survey conducted by BIBB and the Social Science Research Centre Berlin shows what requirements companies make of applicants who hold an intermediate secondary school leaving certificate. The latest evaluation of the BIBB database „TrainingPlus“ shows: For the first time more than 100,000 students undertake a dual course of study. A constant growth in programme provision and companies offering training places has also been recorded. Since 1 September 2017, Prof. Dr. Hubert Ertl has been Deputy President and Head of Research of the BIBB. He regards the stronger strategic focus of research in the BIBB and its international networking as a particular challenge. The BIBB/BA Applicant Survey shows what young people want from their future training company: the wishes are rather conservative - and can also be fulfilled by SMEs. Most importantly, a good working atmosphere and high chances of permanent employment. Vocational schools face challenges such as demographic change, digitalisation, and the trend towards higher school leaving qualifications. BIBB investigated the current situation of the learning venue and of the various approaches adopted in the federal states in a national comparison. 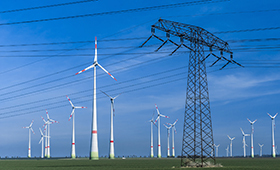 The energy turnaround for an environmentally sustainable future needs specialists for energy distribution, markets and network Management. The new advanced training regulation leading to the qualification of „certified senior clerk in the energy sector“ will enter into force on 1 October 2017. Both policy makers and trade and industry need to adopt measures to strengthen the status of vocational education and training in Germany. BIBB President Esser emphasised this on the occasion of the start of the new training year, which officially begins on 1 August. 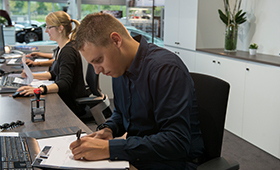 Ranging from “automobile business administrator” to “sales assistant for retail services” – The new year of training starts officially on 1 August with 12 updated dual training occupations. 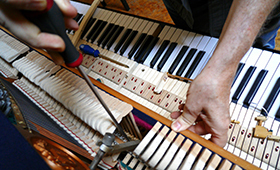 The new regulation of the traditional occupation "piano and harpsichord maker" enters into force on 1 August: Manual instrument making, repair, calculating costs and – a greater – emphasis on entrepreneurial thinking and behaviour are part of the new training regulation. 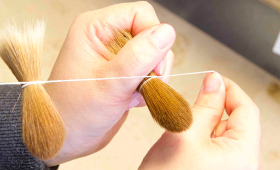 Whether it's in day-to-day life, as a tool or in the world of art: There are about 1000 different types of brooms and brushes, from huge brooms to the finest artists' brushes. The new training regulation for the "broom and brush maker" was updated and will enter into force on 1 August. Everybody knows it from school: The model of a human skeleton. 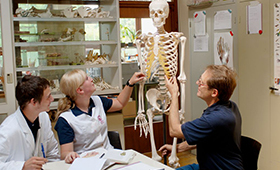 Biological model makers produce anatomical, botanical and zoological teaching and demonstration models. Training for this occupation was now updated. 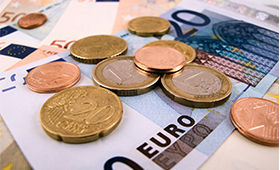 The new regulation will enter into force on 1 August. 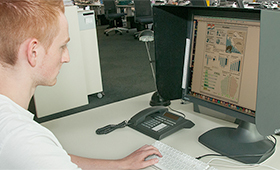 Computer-aided translation or virtual databases – such aspects are exerting an impact on the demands made of translators today. 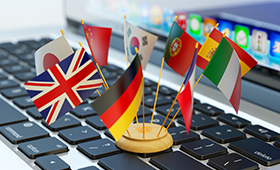 The new advanced training regulations for the qualification of certified translator takes full account of these developments. Contents of the previous training occupation of miller have been further developed in an updated training regulation which adds the area of storage and introduces the new occupational title of process technologist for the milling and grain production industry and enters into force on 1 August 2017. During the period from 2004 to 2016, young migrants were significantly less successful in securing a training place than young people not from a migrant background. Last year, progression rates fell back to the very low level experienced in 2004. The two commercial training occupations in air transport – “Air traffic management assistants” and “Service employees in air traffic” – are taking off again. They now form an occupational group. Key importance will be attached in future to knowledge of English and security aspects. Despite numerous measures to increase the number of women training in technical occupations, the proportion has not in-creased in more than 20 years. However, “typically female” technical occupations definitely exist, even if it is just a few. The prevailing economic mood in the continuing education and training sector peaked at its highest point to date in 2016. The results of the "wbmonitor" survey by BIBB and DIE show that organisations providing qualifications for refugees saw improvements in terms of "economic mood". Digitalisation, networking and electromobility are accelerating the already high rate of development and innovation in the automotive sector. This is also impacting on commercial areas. 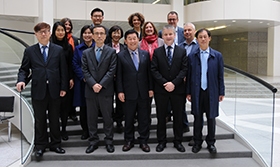 The training regulation for automobile business administrators was therefore brought up to date. The increase in the transition phase between school and training is mainly due to programmes supporting German language learning for young refugees and immigrants. The BIBB Data Report again provides a range of facts and figures on all areas of initial and continuing vocational education and training. The new issue of the BIBB specialist journal “Vocational Training in Research and Practice – BWP” documents the initial results and findings on the spread of digital technology in VET. In his editorial BIBB President Esser speaks out in favour of „balanced vocational education and training“. The ten most strongly represented occupations remain unchanged from 2016 at the top of the ranking of newly concluded dual education and training contracts. While information technology specialist has climbed significantly, the number of new contracts for bank clerks went down. 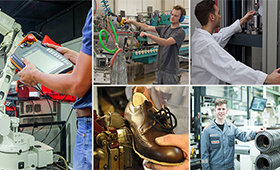 The right footwear exists for every requirement – from high heels to fire fighters' boots. 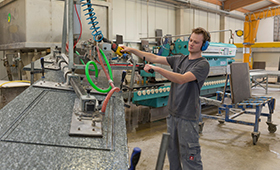 The footwear maker and finisher is an industrial occupation in shoe production. The updated training regulation will replace the existing regulation as of 1 August 2017. For the first time, the BIBB study "Using and producing media - development of media competency in vocational education and trainingng" provides a comprehensive cross-sectional analysis of the importance of media competency across occupational and sector boundaries and also devises a classification. 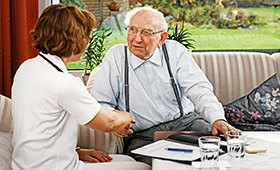 A nationwide shortage in nursing and healthcare professions could occur in the near future. In 2035 labour demand would outstrip supply by around 270,000 persons. 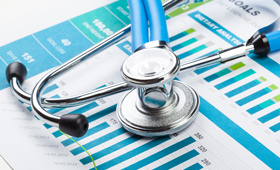 A BIBB analysis based on projections also turns its attention to possible compensatory measures. 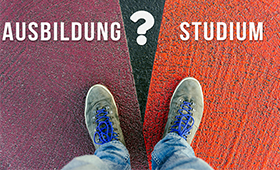 Comprehensive information, workshops and discussions with experts, adventure course "try five“ for young people – the BIBB a wide range of Information on current topics relating to VET at the "didacta“ education fair to be held in Stuttgart from 14 to 18 February. Training allowances based on collective wage agreements rose significantly once again in 2016 – an increase of 3.2 % in the West and 4.9 % in the East. According to a BIBB evaluation the average training allowance for the whole of the Federal Republic of Germany in 2016 was €854 per month. 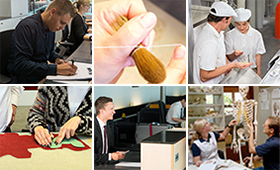 The BIBB offers learning opportunities at the BIBB within the framework of information sessions or discussions for all interested national and international organisations, institutions, universities, schools and, in exceptional cases, individual visitors who have worked intensively in the field of vocational education and training.